Well I must say I have been very productive in stamping for the last several days, but I can't share with you yet as I am working on new releases for Hanna Stamps and Pink Cat Studio. This is a card that I made for a Hanna Release awhile back. I had tucked it away and when it came time to post, it had disappeared. Well for some strange reason, it's resurfaced, which is a good thing, because I have something to post!!!!! This image is from the Hanna Read my "T" set. She is a tall one, the image being just shy of 6 inches tall. I coloured her with Copics and stayed pretty much with a colour combination of Pink Pirouette and Not quite Navy. Stampin' up flower brads and Prima Flowers act as the main accents. and now for the winner of the Blog Candy!!!! Jennifer M. that makes you the winner. Email me your snail mail addy at vickig@kos.net and I'll send your goodies out to you! Riley got some new chaps for Christmas, which meant of course he had to take a little Roadtrip down Route 66! Friday's Hanna Challenge was to make a card using a Riley stamp as well as some accessories from one of the Hanna Sets, which in this case was the Route 66 Hanna biker set. There are some fabulous complimentary images in this set that will allow you to make a scene! The sentiment is from Stampin' up! it's your birthday. The DP is a retired one from SU! as well. Base cardstock is really rust, complimentary is Chocolate Chip. I coloured in the image with Copics, sponging in the sky and sand and using white, silver and gold gel pens for accenting. The Hemp Twine and Star punch polish the card of quite niceely don't you think? Wow only a few more days left in the Year...............what do you hope to accomplish before year's end? Leave a comment and you could be the winner of a Hanna Pirate set, plus some other sweet candy! So, the big day has finally arrived. The gifts are wrapped, the Turkey stuffed....trinket and baubles adorn our mantles...........and it's time to celebrate. Did you take time today to reflect on the true meaning of Christmas.......really what it means for you. It could have a strong spiritual or religious significance, maybe strengthen the significance of the value of family and friends, giving or love. The important thing for me is to look beyond the esthetics of the day, the gifts, decorations and food and recognize how fortunate I am to be sitting behind this computer screen this morning, loading photos with my digital camera and enjoying some peace and quiet before the festivities begin. To realize how blessed I am to have family to share the day with, to have a good job in these tough economic times so that I can enjoy the pleasure of watching my child's face light up as he receives the gifts that he has placed on his wish list. To know that not only will we eat today, but to also feel some guilt over the fact that there will be an overabundance of food, while others in the world go hungry or without gifts, or perhaps are missing a loved one this year. I am fortunate in having my child and parents with me to celebrate the day. These are some quick and easy gift card holders that I put together last night for my Step Grandbabies! The Paper is from Basic Grey, Pomegranite and Soft Sky are the base cardstocks. The image is from Dear Friends a SU! Hostess set as is the ribbon and the Big Snowflakes are from the Dollar Store. These worked up rather quickly, but turned out sweet, I think! Hope to get a little stamping in later today..................and yes, I am blessed to have the time to enjoy my passion! This morning I started my day with a Card Challenge. I really enjoy the technique challenges on Mondays on Splitcoast, because it forces me to stray away from my coloured cards! Don't get me wrong, I LOVE to colour, but I think it's fun to delve into other techniques as well. Today's Technique is called Faux Silk......... I couldn't believe how quick and easy it is to do and you can achieve such a pretty look with it. Here's the link for the technique why don't you give it a try? As you can see in the close up, the wrinkles from the tissue paper add dimension to the image. I did an overall dust of dazzling diamonds glitter, which did take away slightly from the wrinkled look. The image is from the Stamp Barn in Stittsville Ontario. I have had it for a few years and pull it out at least once a year to make a card. I used Not Quite Navy and Soft Sky as my cardstock Base The DP is a flocked paper, I believe from My Minds Eye, but I am not completely sure because my BFF Jax gave it to me. I was very happy because although the paper is flocked, with a little careful rocking, I was able to stamp the sentiment right onto the paper!! YAY for me!!!! lol........ I used an EK success border punch to make the snowflake border and added a couple of Jolee's snowflakes for effect!!!! Still have some time to stamp before Christmas???? TCP Tuesday- A little late on the uptake! I am sure you can all relate to the time crunch I have been experiencing this week. So little time to finish up the last minute Christmas Details. I finally got caught up by yesterday and thought I would sit down and complete a card for The Cat's Pajama's Challenge. I had stamped the image early in the week with all intentions of getting it done sooner. It was actually nice to sit down and stamp! Beats dusting and scrubbing tiles for sure!!! The challenge this week was to create a card using a tree. You can go to Karries Blog for details!!! Anyway, I pulled out this Funky Paper from SEI, that I have had for a couple of years. I have actually completed quite a few projects with it, because I loved the Pattern and the colours. I ended up buying extra!!! I also added a little DP from SU! (the Olivey coloured star paper). I applied Chocolate Chip Craft Ink to the edges of most of the paper just for fun. The Base Cardstock is Burgundy, Copics, felt Riboon, Martha Stewart and SU! Border punches along with Stickles and Copics Complete the Card!!! It's been a whirlwind week! Trying to get ready for Christmas!!! Well at least all my shopping is done! Still have to wrap em up. I made candy this week, Fudge, Almond Bark, Buckeyes and Heath Candy. As a result I have a HUGE blister cluster on my knuckle........fudge mishap! But all is good I managed to get through without losing a limb at least! This is a card that I made with a sweet image that I received from Jennifer over at Jennifer's Sweet Designs. 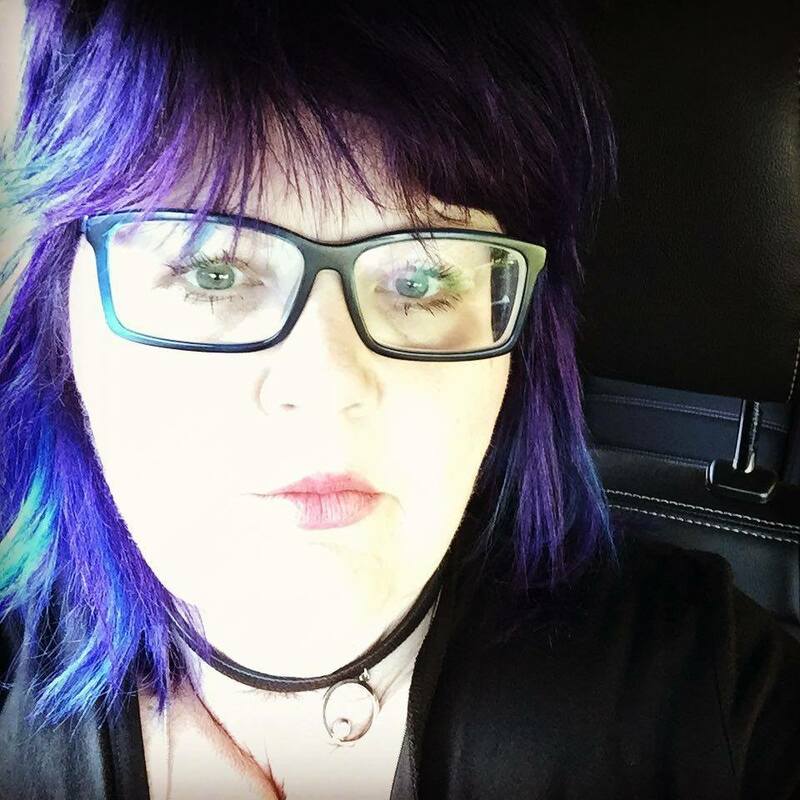 If you haven't looked at her blog, please follow the link on my sidebar, you will be pleasantly surprised at her visual eye candy!!!!! I'm not sure where the image hails from, but it sure is cute isn't it??? I used Buruandy and Artichoke as my Base, with DP from My Minds Eye! Prima's and Su! felt ribbon complete the look!!! Have a great day and I hope you all are right on target with your Holiday prep!!!!! I made this fun card for my guy for Christmas........... I sure hope he likes it.......... I fibbed and said it was in my likeness............ (sorry Frances! hee hee!) Well, maybe after a gazillion trips to the gym (Oh, I'll save that for a New Years Resolution. Anyway, there was a tutorial for Gift Card Holders on Splitcoaststampers last week. These are quick and easy to make. Look under Monday Challenges, it's 196 I beleive!!!! hehe............ that's my silly sense of humour shining through again!!!! The DP is from Stampin' Up! Holiday Catalogue, the Ribbon from the Dollar store and the base cardstock is Real Red. The metal embellishment was from Karen Foster I believe. Well off to work tomorrow!!! I have SO much to do to get ready for Christmas, so if I'm scarce for a day or two, bear with me!!!! And so are the images in this adorable Stamp set from Our Craft Lounge. Again, here is another example of how I stamped my own Background paper. The little Chocolate Kiss could also double as a dollop of tasty whipped cream!!!! I must be really trying to compensate for the gray days here because I noticed that my cards have been a little bright as of late!!!! Anyway, I LOVE this Banana Split image. I coloured it with Copics and what you can't see really well in the picture is that I added Crystal effects to the toppings, which makes them love positively syrupy! I cuttlebugged the Red Layer with Paisley to add texture and in additon dotted my border with White Gel pen to add to the whimsical look of the card! I love the sentiment too! It says SWEET THANG............... isn't that the cutest? Lastly, I finally got to use some of the Cherry Ribbon that I picked up at least a million years ago in the M's Dollar Bin.................SEE, I knew I'd find a place for it one day! Well, I am off to do some baking, cleaning and maybe just a little stamping!!!! The TCP Tuesday Challenge was a colour Challenge this week......the Colours Dark Green, Red and Sky Blue. The image and sentiment is from The Cat's Pajama's Elegant Christmas. Unfortunately, I couldn't get the bow from showing "orangey" in the photograph, however IRL, it matches perfectly!!!! I added a touch of gold as an accent colour throughout in the colouring, layering and in the bow! I also used some tone on tone inking behind the sentiment, to add some texture to that layer. I cuttlebugged the Artichoke later and added a red foiled specialty paper from England. make a mistake and type PARIS???? did I....... DID I??? nope. 4. Vicki needs a job??? What??? I have more than I can handle now! leaving him......................he had designed a little prototype of a gadget called a "winsect"
catcher..............this little thingamajiggy that you use to trap insects............'nuff said! 6. Vicki needs a wake up call???? Actually it's more like Vicki needs to be told to SLEEP!!! 7. Vicki needs new tires? HUH............I just put brakes on and I'm broke already! I need, I'm all set~! 10. And last, but certainly NOT least...............Vicki needs to drink, let loose and feel happy again. the big bucks coming to me. come here just to find out what Google predicts that I need!!!! Vicki needs to look good in a corset like this and have some Bubblegum to chew!!!! This card is made with images from the Hanna Pinup set that was just released over at Hanna Stamps. I stamped the background with the bubble gum and pinup lady stamp, as well as the word enjoy, from fancy flexible phrases. I LOVE making my own background paper with the smaller stamps. I also LOVE the shadow of the pinup girl. It happens to be one of the icons that one of my Favourite Bands THE ROADHAMMERS ! Boy I am really going over the top sharing insignificant deets about myself today!!! I then stamped the corset, coloured with Copics and layered it onto the card. Some Bling Bling Brads and a little ribbon finish this candy pink confection off quite nicely I think!!!!! Snowing like the dickens out now.............think I'll just stay in and Stamp!!!!! Grinning Like a Cheshire Cat!!!! And WHY am I grinning you may ask???? Actually I think it's more than a grin, I think it a Great big Ginormous toothy goofy grin!!!!!!! I have been lucky with felines this month! I have been busting at the seams to share my totally exciting news with you............ I will be designing for PINK CAT STUDIO for the next year!!! MEOW!!!! How exciting is that??? I was selected along with a totally talented group of ladies, whose blogs and artwork are simply delicious! I have added links to their blogs on my sidebar. Please take time to have a look at what they are doing, it's simply amazing. Melissa sure must have had her work cut out for her choosing a team and I feel blessed to be a part of it. You are going to cough up a furball when you see the sneak peeks for Melissa's latest illustrations. I know I'll be chasing my tail until my new rubber arrives!! Perhaps i'll just have to have a little "nip" to keep me content until I can play! The Basic Grey Figgy Paper was the inspiration for my creation! I love the little dotted paper and decided that the pattern was small enough to paper piece her coat and snowy's hatband. I coloured the rest of the image with copics to compliment the colours in the Designer Paper and Sponged in some Cool Caribbean ink around the main image. Liquid applique sprinkled with a touch of Dazzling Diamonds glitter adds some dimension to the images, as does the white gel pen highlights to the buttons, eyes and Cheeks oh my! I would like to thank Nesties Square, SU! Ribbon and a Martha Stewart Border punch for their part in today's creation...............nope catnip hasn't gone to the head........ I am just very very excited, which for me sometimes translates into a little bit of SILLY!!!!!! Have a wonderful weekend. I can't wait to share more Pink Cat creations with you soon! I finally got a layout finished of the newest Sweet edition to our extended family. Bryson John was born on September 8th of this year weighing in at 8 lbs 8 0z. His parents are sure taking some sweet shots of him, so I asked if I could Scrapbook some pictures for her. I was lucky as she said yes and gave me permission to post away! Isn't he just adorable? She just sent me some beautiful Christmas pictures as well, so stay tuned for more Bryson layouts!!!!!! Stamps: SU! Office Accoutrement, Nursery Necessities and sweet on you! Cardstock: Bliss Blue and Certainly Celery SU! Flower from SU! Pretties Kit. This card was completed for Tuesday's colour challenge over at Splitcoast Stampers(Riding Hood Red, Blue Bayou and Taken with Teal. I received this sweet image from my good friend Bev, when we were at a copics class in Chicago this summer. It was the first image that I worked on, while Marianne led us through the proper techniques for using copics. The image is from Whippersnapper, the sentiment from a Stampin' Up Hostess set. Well, I don't feel to chatty tonight.................we had an ice storm last night and this morning, so I am keeping fingers and toes crossed that the weather is better for the rest of the week. I suspect with the drop in temperature (-18 c) it will be too cold to precipitate!!!! I am hoping to let you have a look at the bulk Xmas card I have been working on tonight~! A bright card for a dreary day!!! This card sure brightened up my night. I adore wee Bubs........the most romantic Beaver I know........ actually, I have a Real live beaver story, but it's getting late, so I'll save it for my next Bubs creation!!!! I used Pink Pirouette, Real Red and some Cerise DP that had retired from SU some time ago. I masked out the log to have it sit in front of the tree and coloured with my Copics....... IS there anything else??? Oh I tried to watercolour the other day and it wasn't pretty. I love that effect too , but evidently have lost my touch. Anyway, I found this little chipboard heart and covered it with some hunky Chunky SU! Glitter............ finished off with the oval punches to showcase the sentiment and a smidgen of red ribbon. See you tomorrow to show you what else I've been up to! I'm getting my Christmas cards made..........a few at a time...........too few actually. I think I need to come up with a simple and quick card soon!!!! But I sure am having fun creating the more intricate ones as well. I'm not going to bend your ear toniht. It's 2:00 a.m. and having awoken with an earache, I figured I would get an early start on my Blog Post. It's back to bed for me now........... 5:45 comes early. On the 23rd of November, I had posted that I had a wonderful visit with my best friend Jacqui. She and her son Joel had come for the weekend. Joel hadn't been feeling well all week, but made the trip with his mom. He was pretty lethargic all weekend and after being seen by the Doctors earlier in the week it was suspected that he had a little bug. When he continued to feel ill, another trip to the emerg led him to being admitted within a couple of days. He spent up until this past Friday in the Hospital, with his mom at his side. We were very worried about him and must say completely relieved to hear that he was able to return home this weekend. He is still not in top form and will likely be at home until after the Holidays, so we will continue to keep Joel, Jacqui, Joe and Jade in our thoughts and prayers. Joel, like Jonathon is a fan of Riley, so I created this get well card for him. I received these very cool Vehicle images from my Friend Kristi. For the life of me, I can't remember the name of the company. I needed to find a Riley that would most easily fit into the cab. The snowman Riley sat at the right angle to do this. Both the Taxi Cab and the Riley were coloured with Copics, Cut out and then I mounted Riley on dimensionals so that his antlers would pop out of the cab window. I thought this Cheery DP would be appropriate for this card. It's been kicking around in my cupboard for ages, but I never really found a theme that it would work for. I used the Swiss Dot Cuttlebug to create a base for the main image, adding some flower brads to mimic the flowers in the Ribbon. Joel's card is on his way to him and I am hoping that he becomes stronger each day! Card challenges are always fun! Whether it be a colour, sketch or inspiration challenge, it's always really motivating to play the challenges and then to look at what all the players have come up with!!! I must say that this is a challenge that even challenged the brain! Anyway, I am always up for a good challenge and really enjoyed the thought that had to be put into this one. Accesories: Rusty Pickle Buttons, Ribbon, Circle Punches, Copics, Word Window Punch. I used masking and paper piecing technique on this one! First I stamped the entire cat on the pillow image onto the white paper. I then stamped a second image onto a post it note and cut it out. I placed the sticky note over the image and then stamped the standing kitty in behind. I then stamped the bottom of the sitting cat image onto the Basic Grey Designer Paper and cut it out. I like to use my mini Xyron X box to apply my paper pieced elements. The sticky adhesive holds it in place well. Funny, I had the silly thing for about3 years before I ever used it!!! Accessories: Copics, Cuttlebug Swiss Dot, SU Pastels (for around the pupils of the eyes and rosy cheeks) white gel pen, Prima Flowers and SU! Metal Flowers. Last, but not least. I used this Fun and Funky Paper from Prima Marketing. I have never really been a huge fan of Orange, but WOW!!! This paper had me from Hello........hehe. I found that using a little brown tended to tone it down a wee bit. Picking up the secondary colours in the paper, I coloured the image to match. It was very bright and busy, so to relax the look of the card somewhat, I sponged in creamy caramel ink around the image. A little Ribbon and punched borders add to the whimsical look and I finished it off with a few matching primas!!!! Hope you all have a lovely Sunday! I hope to complete my christmas decorating today!!!! Hey!!! Did you know that Hanna Stamps is sponsoring a contest today over at Paper Craft Planet? Click HERE for details. You could win a $25.00 gift certificate for playing the challenge today!!!! So, on the Ninth Day of Christmas my true love gave to me.............. a rash??? hehe no seriously.........he gave me NINE ladies dancing..............nice beautiful furry little ladies. The Sophie Ballet Corp!!!! hehe...................... Lots of masking in this card and colouring forever, but a fun finish. I let the images take the lead, adding only a sentiment, a touch of ribbon and a flower to bring my dancers to life!!!! Well, I am off to do some Christmas Decorating! Have a Happy Saturday!!!! Doesn't this little fella look good enough to eat? I made this wee gift bag for The Cats Pajama's Tuesday Challenge. This pretty Gingerbread Picture was the inspiration for this weeks Challenge. Focusing on the Gingerbread and the icing, I came up with this little creation. I have SO many die cuts and rarely pull them out of their cases. I also LOVE liquid Applique and saw this as a perfect opportunity to use a dab or two on my project. I sponged the Gingerbread die cut with Creamy Caramel Ink to give it some dimension and then I chalked in the rosy cheeks with some Pink Passion Stamping pastel, adding a dot of white gel pen for highlights. Using the Gingerbread House and candy image and sentiment from Candyland Christmas, I made some embellishments for the little guy! I coloured the house with Copics and added a little Chunky Glitter to the roof for effect! I iced the little man with liquid applique, as well as added more to the chocolate fondant border! A Sweet Treat indeed! Hop on over to the Cat's Pajama's site to play the Tuesday Challenges, they're a blast! I Dream of a Release Party tonight. Come join us for fun chatter, challenges and prizes over on Splitcoaststampers tonight in the member forum. I predict that it will be so much fun! This little gift box was made with some prepunched box templates from K& Co. I used Nesties to make the circle and coloured Jeannie Hanna in with Copic Markers. Adding a Key Punch tag and a Prima, this project worked up very quickly. Hope to see you all tonight. The DT has some more beautiful sneak peeks to share with you. She's a Hottie, isn't she???? I hate to admit, but I am old enough to remotely remember some of the beautiful Pinups Girls of the 50's, Veronica Lake, Jane Russell and of course my favourite, Marilyn Monroe! Classic Beauty! I am a bit of a sucker for classic Movies. Wizard of Oz being my favourite of all time, seconded by Gentlemen prefer blondes. Hmmmmm maybe that's why I stayed Blonde for years and years........ I am kind of liking the feisty redheaded look though!!! This was the first card I created with the new Hanna release sets. There's lots to look at here and I can imagine that this would be a sweet card for your Spencer Tracey on Valentines Day. One more sleep and we'll be partying it up in the Hanna Forum! See you there! I'm Lovin' my Pink Cat Studio Stamps! When I saw this sweet Santa Kitty, I thought that she would be Purrfect for a Kitty Treat Basket! The little bucket was one of my dollar store finds! I had some different ideas about how to decorate the bucket, but settled on keeping it simple and embossing pawprints on the bucket. I was a little concerned that the heat gun might effect the paint, but all was good. I stamped the paws in SU White Craft ink. I must tell you that this is a bit of a tedious process. You need to rock the stamp just enough to capture the full image, but not enough to make it blurry. On a slippery surface like this, you may have to wipe off a few times and start over, but with patience you can do it! I embossed the paws in silver, but then found it to be a little bland, so in stages, I sprinkled embossing powder here and there around the prints and heat embossed until I got the splattered effect that was pleasing to my eye. To complete the tag, I used a Sizzix Tag Set die cut. I stamped the pretty kitty right onto confettie white paper, coloured with copic markers and used a little SU old olive pastel to add the green around the eyes. I took a black Gel pen to darken the pupils and a white gel pen to add highligts to the eyes and pastelled cheeks. I then applied liquid glue pen to the "fur" areas and added SU! Chunky Glitter. I then curled some red wire around a Q-tip, of which I cut off one end and used it to attach the tag to the pail handle. I really like how this project turned out. Although the embossing was a little difficult, basically the project worked up quickly. Now just to find a pretty Kitty who would appreciate my gift! Well, no camping here!!! Brrrrrrr too Cold!!!! Although we have been in the "pluses" the last few days..........3 celcius to be exact!!!! With lots of RAIN..............ewwwwww. Oh bother! At least it's not freezing rain! I must say, that I am a happy camper though! I am really excited about the new stamps that Kristi is releasing on Thursday night over in the Hanna Member Forum on Splitcoast. Did I ever tell you my Moose Camping Story? When I first graduated from College, I worked in Toronto with at risk youths. A very challenging occupation indeed! Anyway, in the summer we would plan a lot of activities, one being camping and canoeing. We decided to take our group of nine to Algonquin Park. It's really interesting to observe how environment impacts on individuals. By day, our charges enjoyed the swimming, hiking and of course roasting Marshmallows was one of the highlights. When night fell however, that was a completely different story. Some of these teenagers were terrified! They had no issue with roaming the worst parts of Toronto after dark, which frankly would make me pretty nervous, but being in the pitch black of the woods was rather intimidating. I spent the most part of the evenings escorting the teens back and forth to the outhouse, which was a little stroll down the road. Anyway, we were at the farthest end of this campground. One evening, while sitting by the fire I noticed a Shadow walking onto the site, oh about 12 feet away........... as I was focusing, I was thinking what a sweet sweet deer..............the head was parallel with the top of the mini van. As I blinked and refocused, I realized that it wasn't a deer at all.........actually, it was a Moose Calf........with it's Mother right behind it! Yikes!!!!! I don't think they wanted to roast Marshmallows! It was actually a little scary, because the group went ballistic, shrieking and screaming and starting to thrash about. I quickly tried to calm everyone because my fear was that mama would not be impressed and charge us all.....................luckily, she was calmer than the rest of us, and casually nudged her babe and strolled off the site. The moose were definitely the highlight of our trip. It seemed that they liked to swim at the bottom of a steep incline at the south end of our lot. In the wee wee hours of the morning as the sun was just rising, you could here them breathing in the water as if they were right next to you, blowing puffs of air into your ear.......................must admit a bit frightening the first time we heard it. I think there was speculation that we had a Yeti running around out there!!!! Must say that I am more partial to sweet Riley than to the real thing...........and our little Riley smells better for sure. Well Ain't that the Cat's Pajamas!!!! I was SO excited to receive an email from Alma over at The Cat's Pajama's this morning! I was chosen as December's SWANKY STAMPER. So, after picking myself up off the floor and rereading the email several times, I headed over to TCP website to see my card up in lights!!!! Thanks SO much for choosing my card Alma. I am looking forward to making many more creations with this beautiful stamp set. I rushed home to make a quick project to accompany my announcement on this post......... always exciting to share great news with you!!! I purchased a 5 3/4 inch candle holder at the dollar store last week, with precisely this project in mind. I took two pieces of SU! Vellum Card stock and cut them to 8.5 x 9 inches. Then I took the EK success snowflake Border punch and punched the border on three sides of the vellum. After my punching was complete, I cut the unpunched side down to 6 inches. Then using Versamark and Silver embossing powder, I stamped and embossed the images. Now, just a matter of attaching............... I thought about and tried sewing the sides, but when doing my test stitch, there appeared to be something wrong with my bobbin feeder .............so I had to think about how to attach the vellum together without making marks. AHA!!! I had an IDEA! I took mini glue dots and place them in the centre of each snowflake on the side panels. Once I stuck the two pieces together, I used some dazzling diamonds glitter to mask the glue dots and make the snowflakes sparkle. This is what it looks like in the dark. Because of the depth of the candle holder, I used a short Votive Candle as well as a 5 inch pillar inside. Doesn't it look like the Reindeer is dancing in front of the moon??? Punched along the bottom edge of My Minds Eye Christmas Paper with a Martha Stewart Border Punch and then cut my Cardstock to 1 1/4". To finish it off, I rimmed the top edge with Dazzling Diamonds Glitter! This is a very quick project that looks very elegant as a centrepiece on your dining or coffee table! Today was a very exciting day for me..............it was the Cat's Pajamas! I am going to tell you that it's the BEST month ever at Hanna Stamps.........hmmm sound familiar??? Well fib, I not..........it's just that I get more and more excited with each month that passes as a Designer for Hanna Stamps. As I work with the stamps sets, I think WOW! This is the best release ever! The upside to that is that I can really get into creating with the new sets! Hanna Stamps is releasing three sizzlin' sets for you this month, along with two Riley images for the fans of our furry antlered friend. The release party with take place in the HANNA MEMBER FORUM this Thursday evening at 9 p.m. EST. If you've been before, you'll know what's in store! If not, please join us, newcomers are always welcome! Introducing Slumber Party! This set is just the sweetest. The first thing I thought of was making invitations for a Slumber Party and well, the rest just fell into place. With Three Girls in the Set and lots of sweet accessories, the options are endless! I knicked this DP from Kristi, when we all met up at Jactopia in November. It was from Basic Grey Stack, but I am not sure which one, to be precise. I used the paper as a starting point for my ensemble, matching SU Eggplant Paper and Prism Iced Pink. I really wanted to emphasize this gorgeous DP, so I used a top not die as a base to ground my images. I coloured the two sweet girls with Copics and used a sentiment block to groun the girls. This is the Place Card, the skinny on this is pretty much the same as the Card, but I popped the Popcorn bowl off the card with a dimensional. Finally, we have our Party Favour! A popcorn slider. I search high and low for the instructions to make these, but didn't have much luck this morning. If I can find a link, I'll include it with tomorrow's Sneak Peek. Methods and supplies for this project mirror the rest of the ensemble, with the exception of some White Gel Pen, Eggplant Ribbon and Daisies from CTMH! Can you imagine all the possibilities that you would have with this set? Stay tuned for more sneak peeks this week!